vehicles are being driven. Eco is both ECOnomical and ECOlogical. Fuel is often the largest single operational cost for any fleet. With our solution we arm you with the information you need to reduce your fuel usage and save you money. Lower fuel usage means a smaller Carbon Footprint and a reduction in the effect that your fleet has on the environment. All modern vehicles have a number of electronic systems that monitor and control various parts / functions of the vehicle (including transmission, braking, cruise control, airbags and power steering). These systems talk to each other via the CANbus and ECO is able to connect to this and gather information. The unit sends this information to our servers at regular intervals, and it is then accessible via our secure SpotonTM application. Our solution measures, reports and alerts on factors such as: throttle position, harsh braking and acceleration and the number of brake applications. You can now spot “tailgating” and aggressive driving and work with your drivers to adopt a more conservative driving style and improve safety. perform any unauthorised actions. This greatly assists in actively moderating driver behaviour. Reduced Fuel Usage = Lower Carbon Emissions. ActiveECO will report on green-band driving, axle weights, harsh braking and acceleration. With this data, you can proactively reduce the wear on your vehicles, lower your maintenance costs and increase the resale value of your vehicles. Current Fuel Level at ignition off or on demand. Trip Fuel information lets you know how much fuel was used on each journey. Helps to prevent misuse of fuel cards and theft. Monitor and compare the fuel economy of your drivers. Get detailed information from the vehicles Tachograph on driving times; rest periods etc. Reduce the risk of fines. Fulfil your Duty of Care obligations. Get up to the minute information on driver behaviour and driving style. Reduce fuel use by moderating aggressive driving. Reduce engine wear caused by over-revving. Harsh braking can indicate an aggressive driving style. A high number of brake applications can indicate “tail-gating”. Reducing wear and tear will save you money. Improve safety by discouraging dangerous driving behaviours. A van / truck can use several litres of fuel per hour when idling. ActiveECO will accurately measure true idling. Save money by reducing fuel consumption. Reduce maintenance costs by reducing wear and tear. 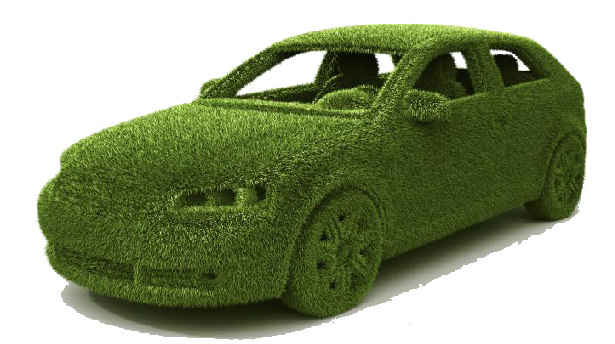 By staying within the “green band” a vehicle is able to drive at optimum efficiency and economy. Reduce wear and tear on your vehicles. Lower fuel consumption means you save money. Accurate and detailed information can be obtained on axle and trailer weights. Helps to prevent large fines for over-loading. Allows you to monitor load distribution and helps to prevent damage caused to vehicle by uneven loads. Our sophisticated and configurable hardware, allows us to provide in-vehicle driver notification of a configurable range of events. Choose exactly which events you want the driver to be made aware of. By alerting when he is driving dangerously, you can improve safety. Being alerted when driving aggressively will a real-time reminder for your drivers to reduce the behaviours that contribute to poor fuel economy. Minute-by-minute updates of fuel used driver behaviour, location, speed, driving time and distance travelled. Not only will ECO identify who is driving, it can also distinguish between a business journey and a private journey. In private mode, the geographical location and route data will not be sent, but mileage and duration information is recorded. Protect the privacy of employees and remove the fear of “big brother” spying on them when they are not at work. Automatically get private mileage data to aid with Tax compliance..
Fuel is often the largest single operational cost for any fleet. By improving fuel efficiency and reducing fuel usage you can save many £1,000s per year. Now that you have the tools to reduce wear and tear on your vehicles, you can lower your maintenance costs and increase the resale value of your vehicles. Employees are much less likely to “slack-off” when they know they are being monitored. By knowing where your drivers are and their likely ETA, you can proactively keep your customers up to date, before they call you! Easily corroborate mileage claims and use our automated reporting suite to produce timesheets and journey histories.